He was forcibly kept in hospital from 18 August. 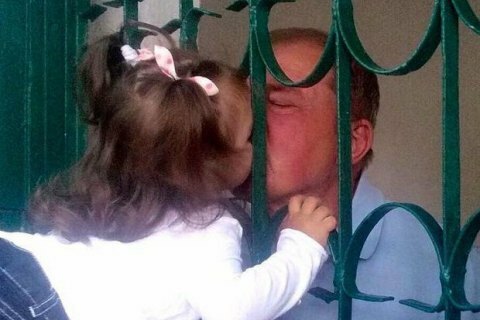 The occupation authorities of Crimea released on 7 September the Deputy Chairman of the Mejlis of the Crimean Tatar People Ilmi Umerov from Simferopol psychiatric hospital, Umerov's daughter Aisha reported on Facebook. On September 7, Unerov was scheduled to be examined by a medical commission, which was to conclude forensic psychiatric examination. Ilmi Umerov was arrested by de-facto Crimean authorities in Simferopol on May 12. An hour before the arrest, he published on his Facebook a post about the detentions of Crimean Tatars in Bakhchisarai by Russian security forces on alleged involvement with the organization Hizb ut-Tahrir The case against Umerov is based on video recordings of his speeches in Kyiv in 19 March 2016. Umerov has repeatedly stated that Russia must pull out from Crimea. On August 18 he was forcibly detained and transferred from the cardiology department of a Simferopol hospitals to a psychiatric hospital in the same city. The forced psychiatric examination may take 28 days. On 21 August, Umerov's daughter reported that his health has sharply deteriorated.